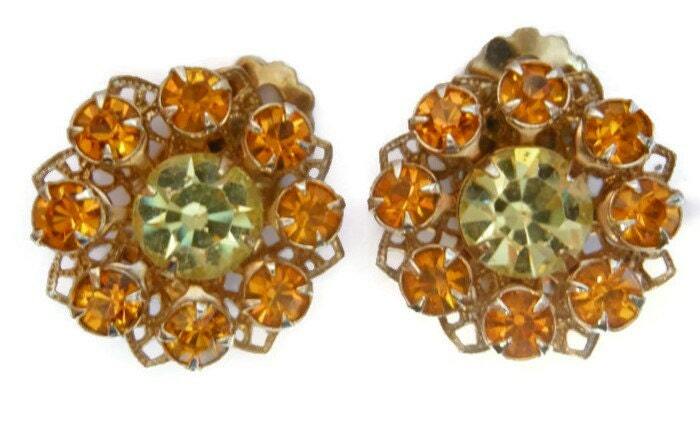 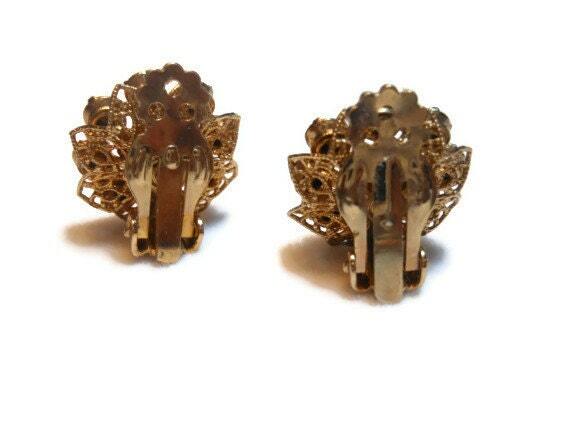 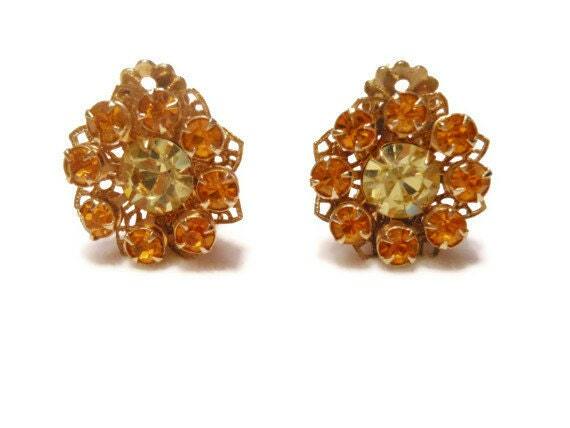 Juliana style earrings, amber and yellow rhinestone clip earrings prong set perfect for wedding or prom. 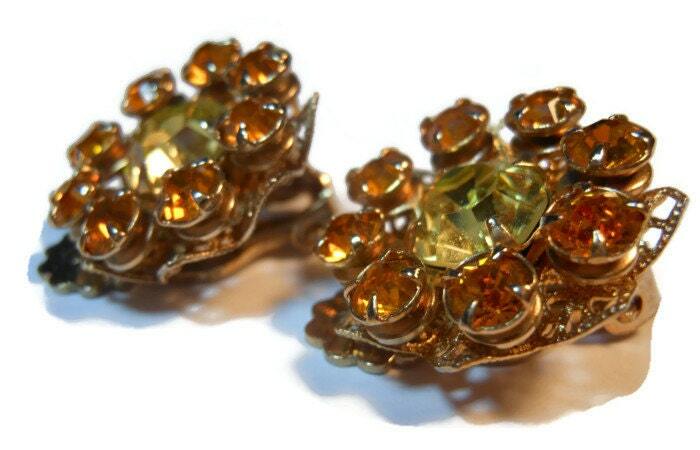 These stand out earrings have all the markings of DeLizza and Elster Juliana D & E. Very few pieces of D & E are marked and have to be identified by the markings. 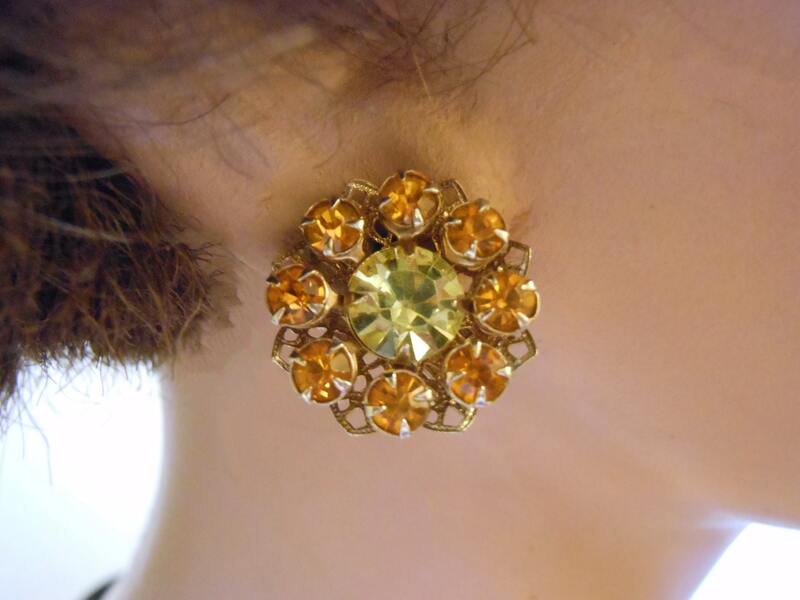 They measure 3/4" (1.9 cm) in circumference and are in very good vintage condition.